These Paleo Carrot Cake Cupcakes are soft, tender, flavorful, and downright delicious -and don’t even think of skipping the silky dairy free cream cheese frosting! 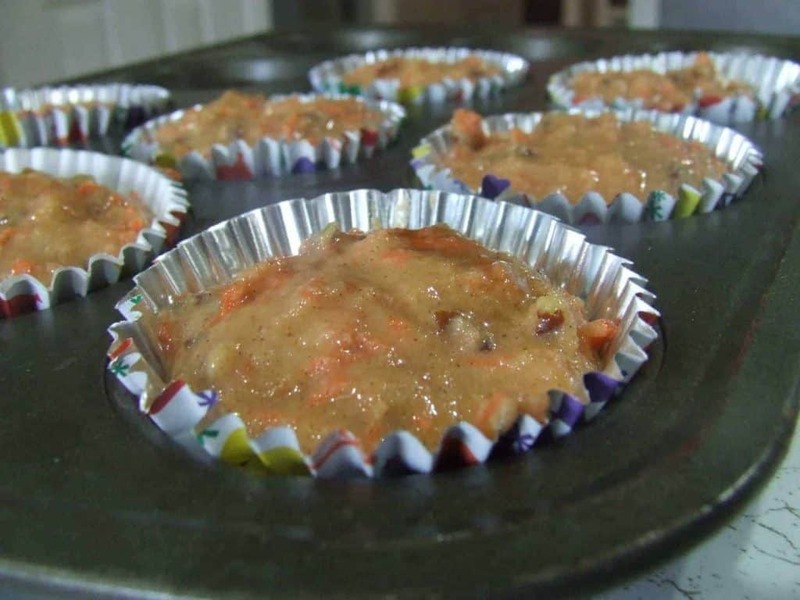 These carrot cake cupcakes are rich, moist, rise beautifully, and have a great spice flavor! 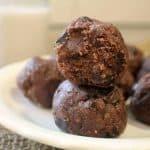 No one would ever guess they are Paleo, gluten free, grain free, and dairy free! Start by toasting the pecans to get a rich, deep flavor. Preheat the oven to 300 degrees and toast the pecans for 7 to 8 minutes, or until fragrant. Then, set aside to cool. Next, you’ll need to grate the carrots. I recommend using the grater attachment on your food processor then briefly pulsing them in the bowl of the food processor to get a fine grate. And please, don’t be tempted to use pre-bought shredded carrots! The pre-bought variety are often dry and hard, which won’t work well for this recipe. Then, whisk together the remaining dry ingredients. In a separate bowl, whisk together the eggs, honey, oil, and vanilla. After that, stir in the pecans and carrots. Evenly divide the batter between 8 lined muffin cups. Bake for 18-23 minutes, or until nicely browned and cool completely. Not only does this diary free cream cheese have the taste and texture of “real” cream cheese frosting, but it couldn’t be simpler to make. It almost makes me want to cry!!! You simply blend together non-hydrogenated shortening, non-dairy butter (or additional shortening), honey, nut butter, apple cider vinegar, lemon juice, sea salt, vanilla, and stevia (optional) with an electric mixer until thick and creamy. And if you notice, the recipe calls for almond or cashew butter. I like to add nut butter to my frostings because it gives it depth of flavor and adds a dairy-like texture. I know that cashew and almond butter can be expensive, but now you can buy the Artisana 1.19 oz squeeze packs (this is not an affiliate link) for only $1.49 online and at most health food stores! Or you could even make your own, it’s super easy! It also may seem weird that I add apple cider vinegar and lemon juice, but it’s just what the frosting needs to give it that classic “cream cheese” taste. Please, don’t be tempted to use pre-bought shredded carrots! The pre-bought variety are often dry and hard, which won’t work well for this recipe. When grating the carrots, I recommend using the grate attachment on your food processor and then very briefly pulsing them in your food processor to get a fine grate. Be careful not to overdo it, though, or you’ll have carrot juice! If you don’t have a food processor, you can use a hand grater. Feel free to leave out the nuts if you prefer a smoother cupcake. Is Keto more your thang? 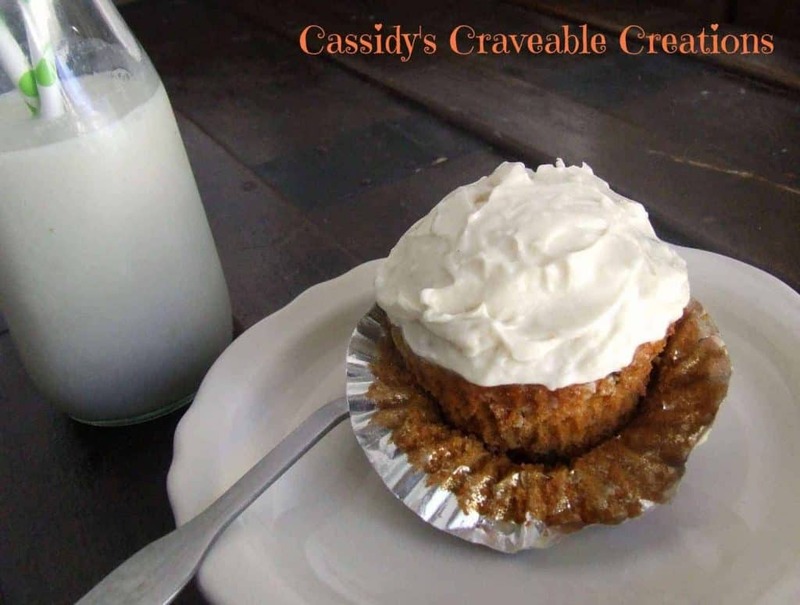 Check out my Paleo & Keto Carrot Cake Cupcakes!!! These Paleo Carrot Cake Cupcakes are soft, tender, flavorful, and downright delicious - and don't even think of skipping the silky dairy free cream cheese frosting! No one would ever guess they are Paleo, gluten, grain, and dairy free. Preheat the oven to 300 degrees. Line a large baking sheet with parchment or a Silpat baking mat. Place the pecans on the baking sheet and toast for 7 to 8 minutes, or until fragrant. Then, set aside to cool. Turn the oven up to 325 degrees and line the muffin tin with 8 or 9 muffin cups. 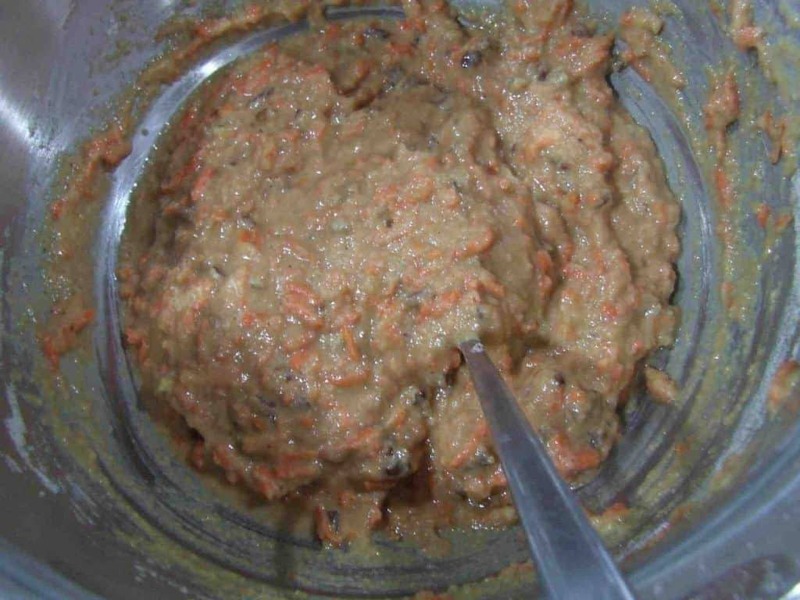 Use the grate attachment on your food processor to grate the carrots. Then, very briefly pulse them in your food processor for finer shreds of carrot. If you do not have a food processor, grate by hand. In a large bowl, whisk together the almond flour, 1/4 Cup + 2 Tbsp. arrowroot, baking soda, baking powder, cinnamon, and nutmeg. In a separate bowl, mix together the eggs, oil, vanilla, and honey. Then stir in the carrots and nuts. Scoop a heaping 1/4 C of batter into the lined muffin tins. Bake 18 - 23 minutes or until nicely browned. Blend all ingredients on low for 30 seconds or until well combined. Turn speed to medium-high and blend until smooth. Place in refrigerator 10 - 20 minutes to firm up if needed. Frosting hardens if left in fridge. Have you tried making this as a cake? yours was my 3rd attempt at a dairy free cream cheese frosting and yours was the winner, by far!! The others had a weird cashew nut flavor or too coconutty flavor. I used agave instead of honey and added cinnamon. Great job!! Thanks for the great recipe. 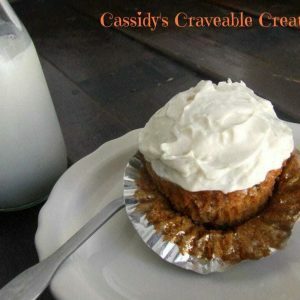 I just tried these cupcakes last night and boy was I pleasantly surprised. I did substitute a couple items. I used Agave nectar for the honey, sunflower oil for the grapeseed, and Sunbutter for the almond butter. I did have a question. My frosting didn’t turn out as pretty and fluffy as yours looked. It also looks like it was sweating after I put it on the cooled cupcakes. Any thoughts of what I may have done wrong? I’m so happy you liked my cupcakes and that your substitutions worked!!! I’ve made that frosting several times and I’ve never had it turn out like that??? I always use the spectrum brand of non-hydrogenated shortening and Earth Balance butter, maybe it’s a difference in brands? Maybe you could try adding just a bit more shortening until it reaches the right consistency or even some xanthan gum to thicken it up next time. Let me know if that helps! Thank you very much for posting this . I made these carrot cake cupcakes this evening, doubling the recipe. I did use a different cream cheese frosting recipe, but yours looks great as well. Anyway, the cupcakes came out incredibly moist and not overly sweet. i was very, very pleased with the texture. I did substitute maple flavored agave for the honey (I just reduced the amount called for by 1/4th) and added some golden raisins for extra texture and subtle sweetness. 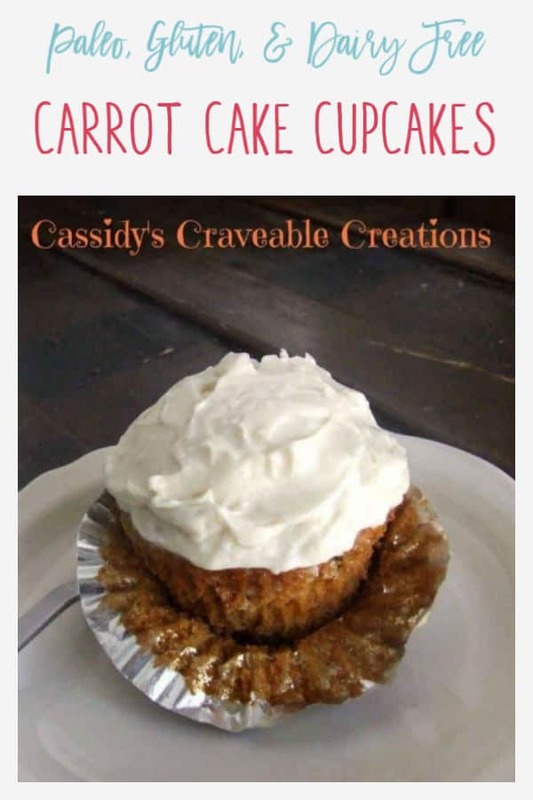 My husband, a long-time carrot cake lover, was overjoyed with the outcome of these cupcakes. I’m also forever grateful that your recipe does not uses coconut oil. I like coconut oil, but it imparts a very distinct taste into everything it goes into. It’s refreshing to actually NOT taste that. Thank you again! 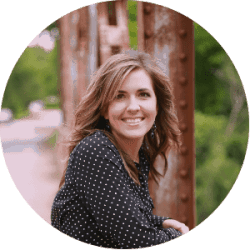 Thank you for the nice comment Shella – I’m so happy you and your husband liked them! …You probably already know this, but if you use refined coconut oil instead of unrefined it will not have as strong of a coconut flavor. 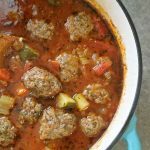 But I agree, it seems like so many gluten and dairy free recipes rely on coconut and sometimes you just don’t want a coconut flavor! Can you just substitute butter in the frosting recipe for the shortening, or maybe even coconut oil? 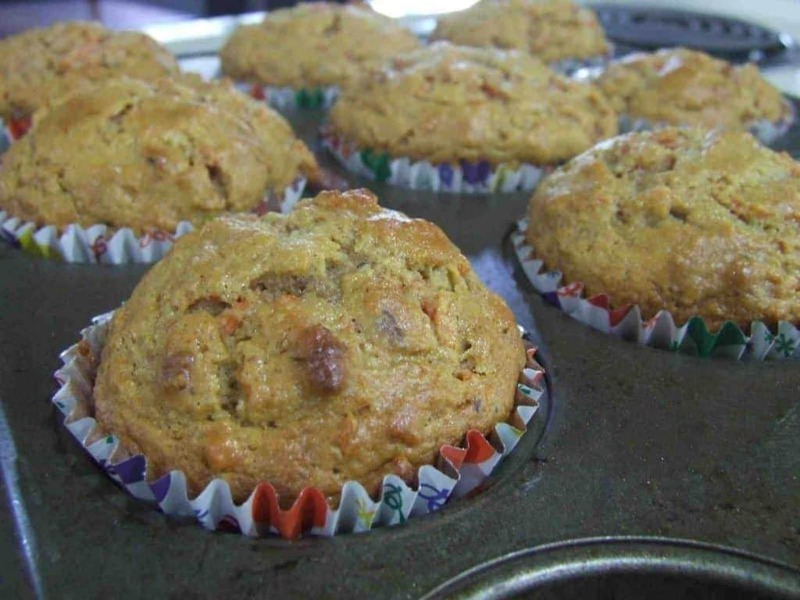 The texture of these muffins….I can’t wait! 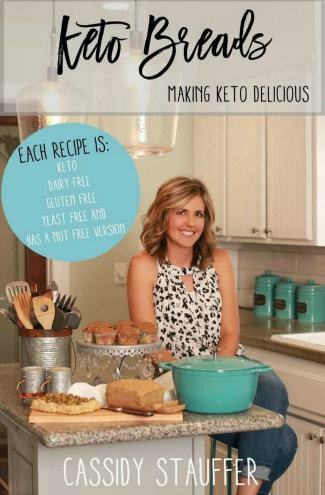 I will probably try to replace some of the almond flour for my tummy, bu carrot cake is one of my favorites!I am featuring your recipe on AFW this week, thanks for sharing it with us! Thank you so much for featuring me!!! If you successfully replace the almond flour shoot me a comment and let me know what you did! I am in LOVE!!!! I hope I get to try this soon! HI! I am absolutely THRILLED that I stumbled onto your recipe. I have been looking for a frosting recipe for a long time. Just curious, what kind of shortening are you using that is soy free? I am tired of using earth balance to do everything with, so it would be good to know. I use Spectrum organic non-hydrogenated all vegetable shortening 🙂 I think you can buy it on Amazon -but it’s expensive. So I get mine at my local health food store, it’s more around 10 dollars there for 24 oz. Hope you like it!! !